The Ford scrappage scheme, which includes cars and vans, is to be extended until the end of March 2018. The scheme is also expanded to include the new version of the Fiesta, Focus, Ranger and Transit models. The Ford Fiesta recorded 6434 sales in November. 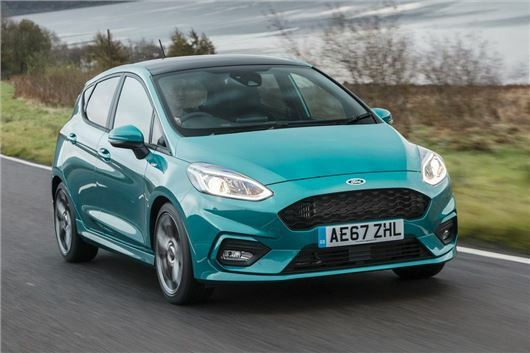 The UK's most popular car did exceptionally well this year, with the new Fiesta being swept up by eager buyers. New car registrations in November were down over 11 per cent compared with November 2016. This isn't bad news for consumers though. While dealers might be struggling to shift cars, slowing sales actually mean buyers are in a stronger position to negotiate on new car prices and get a better deal. UK commercial vehicle sales - made up of vans and pick-ups - in November were also down over 11 per cent compared with November 2016. But Ford's commercial vehicle market share continues to increase, standing at 33 per cent for November, up from 29 per cent in November 2016. Take a look at all the discounted models below. The maximum saving applies to certain models and specs within the Ford range.